2019-04-17 11:22:54 TheLazyFish replied to Spinosaurus in JW3! 2019-04-04 18:23:55 Alphadino65 replied to Spinosaurus in JW3! 2019-04-04 10:32:24 Sympharia Moon replied to Spinosaurus in JW3! 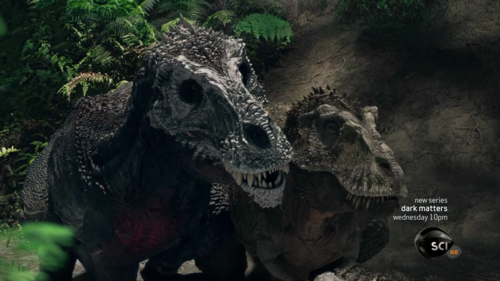 2019-04-02 02:22:38 edna modes commented on Jurassic World 2 will parallel the treatment of modern animals! from the Jurassic World 2 website! 2019-04-02 01:46:57 matt hummel commented on Two new Jurassic World viral videos hit the web! from the Jurassic World 2 website! 2019-04-02 01:43:55 matt hummel commented on Bryce Dallas Howard comments on the direction of future sequels! from the Jurassic World 2 website! 2019-04-01 05:32:02 ZillaDude345 replied to Spinosaurus in JW3! 2019-03-31 21:15:28 Alphadino65 started a new discussion: Carnivorous Struthiomimus? 2019-03-28 20:26:16 Alphadino65 started a new discussion: Is Scotty the largest T.rex yet? 2019-03-27 19:35:56 Alan Baltes commented on Universal are now casting for Jurassic World 3 and YOU can audition for a role! from the Jurassic World 2 website! 2019-02-16 11:00:48 Chris posted a new editorial: Upcoming Prime 1 Studio Jurassic Park and Jurassic World statues! 2019-01-23 07:13:48 Ashland Hagedon commented on BREAKING: Colin Trevorrow will direct Jurassic World 3! from the Jurassic World 2 website! 2019-01-01 10:47:34 VS2187 commented on Pre-orders for Iron Studios' Jurassic Park Velociraptor Attack Art Scale 1/10 statue open TOMORROW! from the Jurassic World 2 website! 2018-12-29 21:27:24 erinortega replied to Am i the only one seeing this? 2018-12-11 08:27:07 Xenosaurian commented on Jurassic World 3: New character details revealed! from the Jurassic World 2 website! 2018-12-11 08:25:20 Xenosaurian commented on Prime 1 Studio Jurassic World: Fallen Kingdom Indoraptor statue! from the Jurassic World 2 website! 2018-12-11 08:24:46 Xenosaurian commented on Jurassic World Fallen Kingdom crosses $1.3 billion at the box office! from the Jurassic World 2 website! VS2187 commented on Pre-orders for Iron Studios' Jurassic Park Velociraptor Attack Art Scale 1/10 statue open TOMORROW! from the Jurassic World 2 website! erinortega replied to Am i the only one seeing this? Xenosaurian commented on Jurassic World 3: New character details revealed! from the Jurassic World 2 website! Xenosaurian commented on Prime 1 Studio Jurassic World: Fallen Kingdom Indoraptor statue! from the Jurassic World 2 website! Xenosaurian commented on Jurassic World Fallen Kingdom crosses $1.3 billion at the box office! from the Jurassic World 2 website!